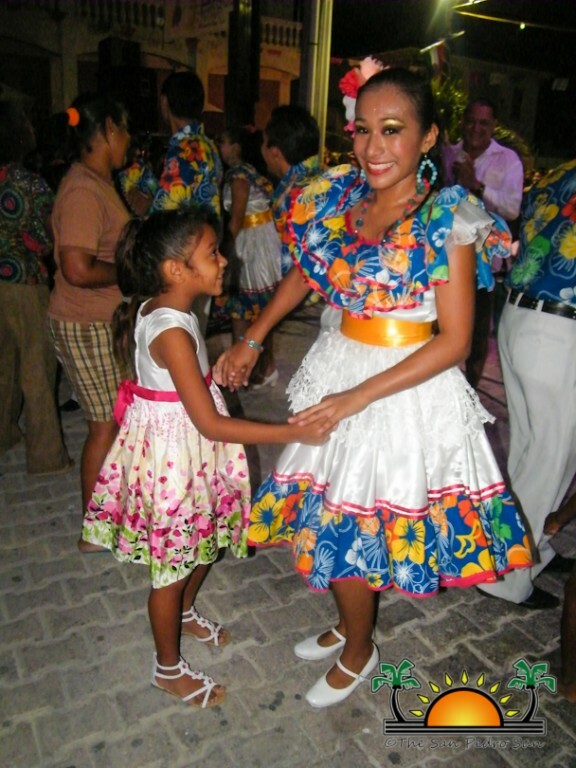 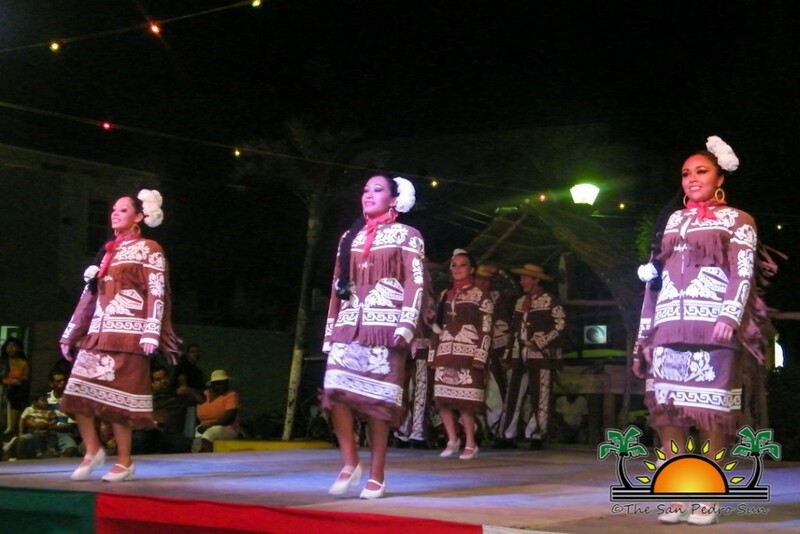 « Older: Costa Maya Festival® presents Miss Costa Rica! 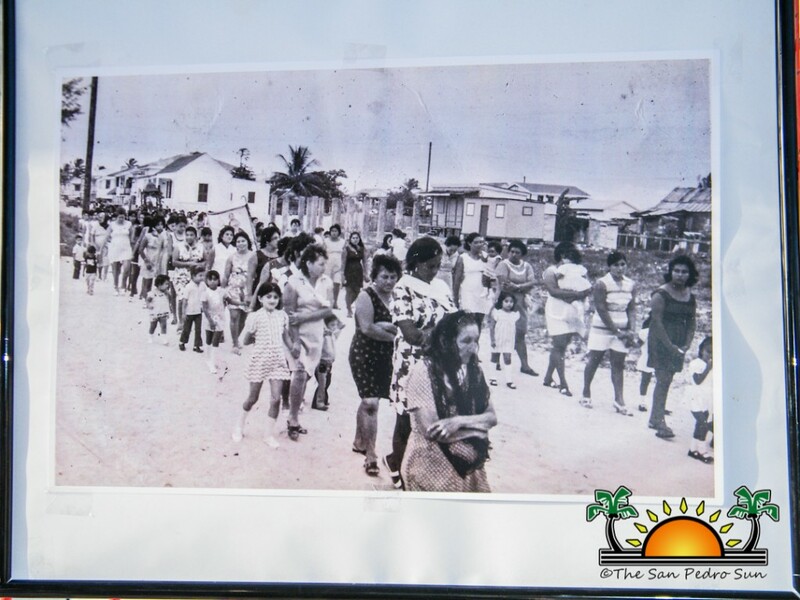 The Dia de San Pedro activities ended on Sunday June 30th, with a beach family day at the Central Park beach. 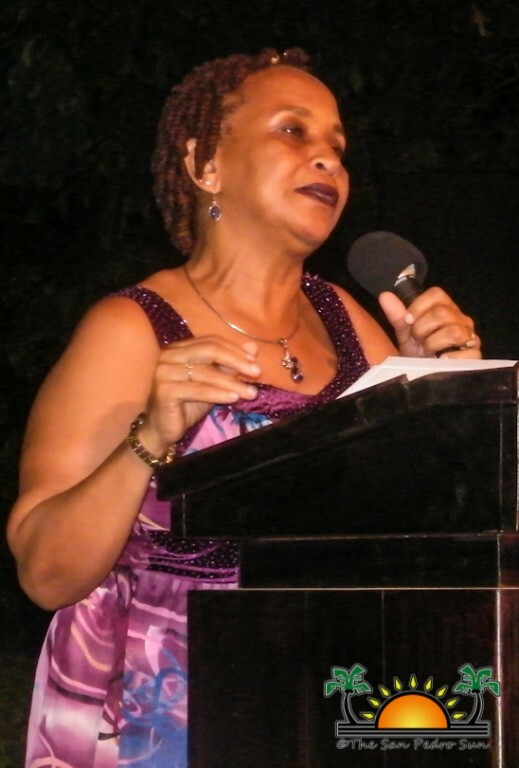 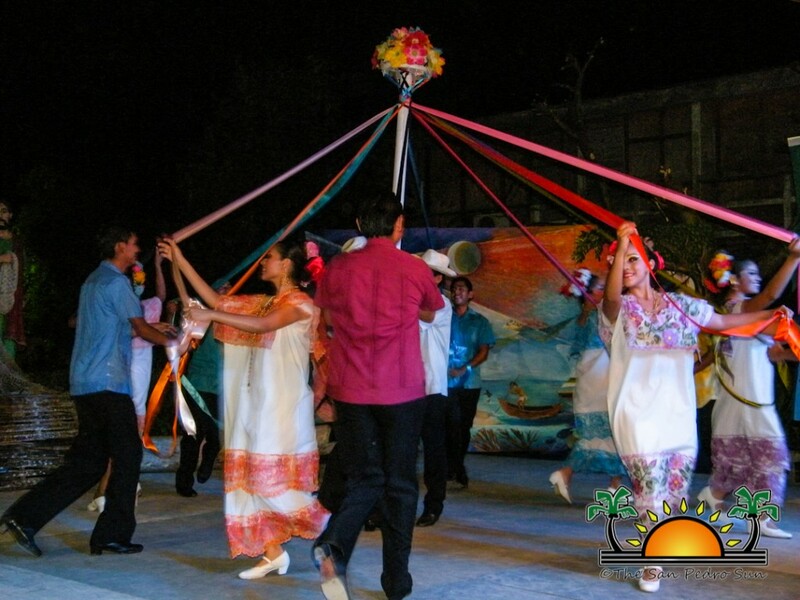 The 10 days of events were held under the theme “Learning from the past, appreciating our traditions and progressing into the future – a celebration of our Patron Saint Peter.” Throughout the course of the celebration, the theme brought to light the history, culture and traditions of the island, one that has been neglected as the demographics of the island has changed. 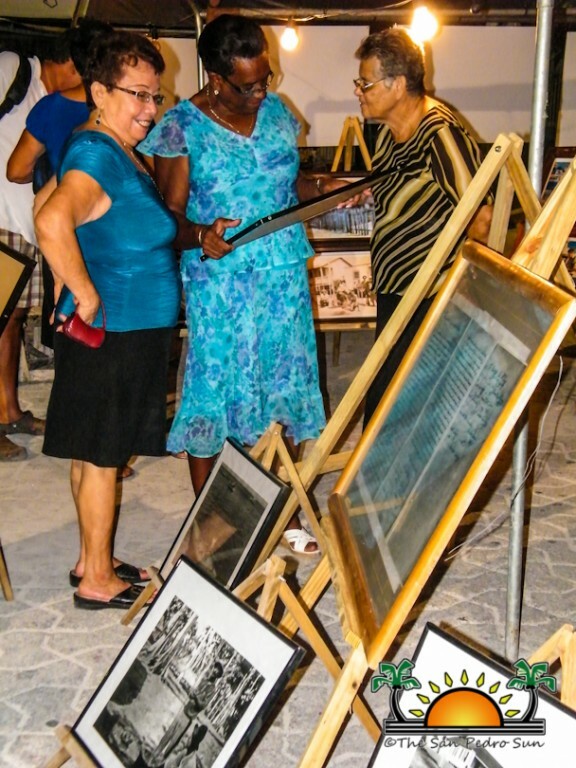 Meanwhile Diane Haylock, President of the National Institute of Culture and History (NICH), in her opening remarks, spoke of the richness of the traditions. 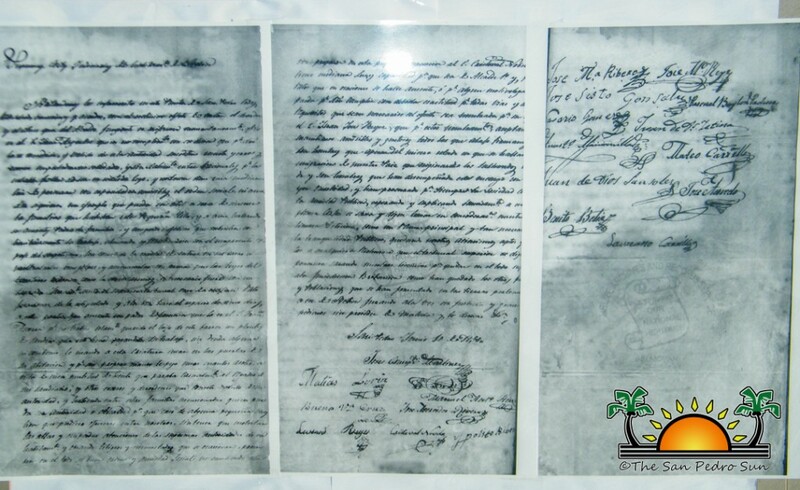 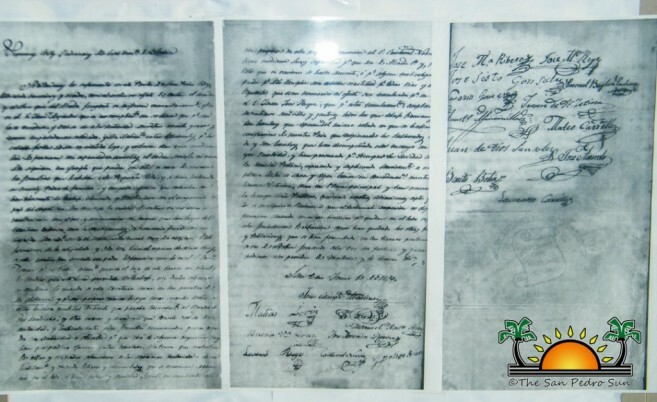 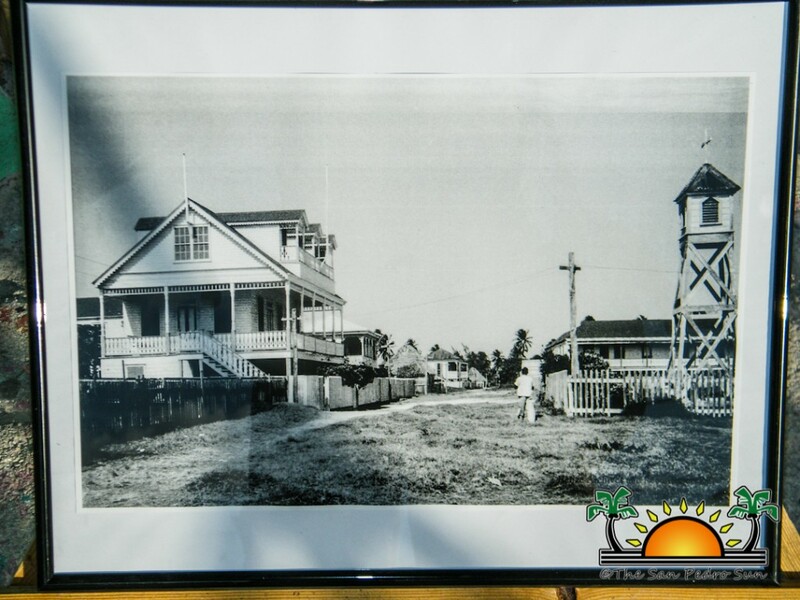 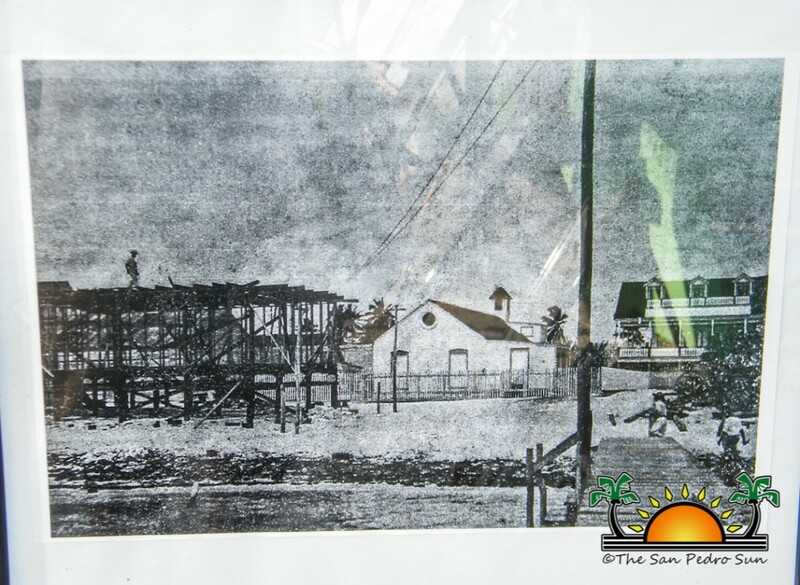 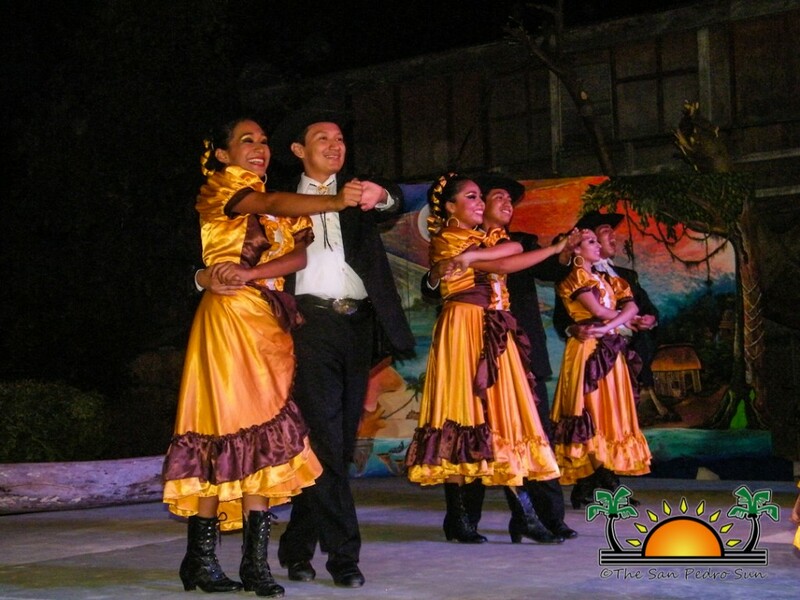 “San Pedro Town has a rich and colorful history. 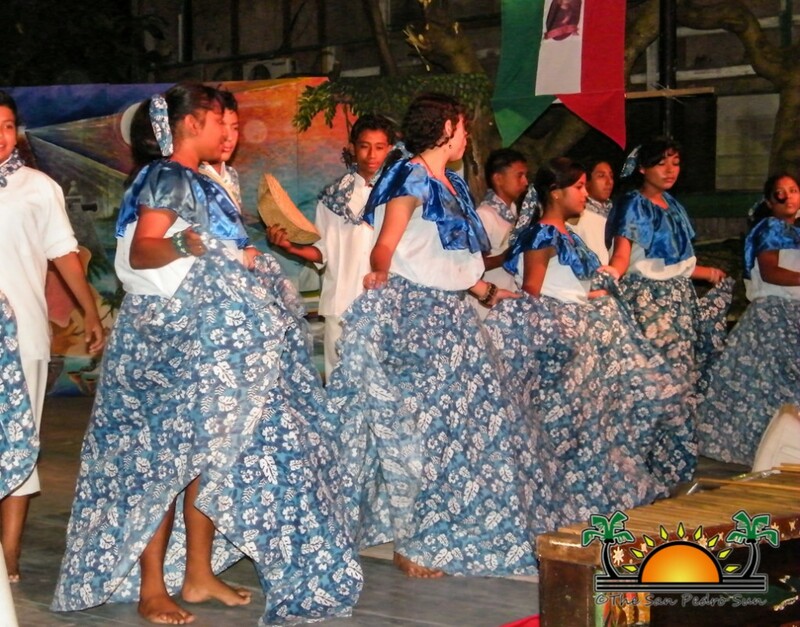 The organizers must be commended for incorporating all the elements of this particular celebration. 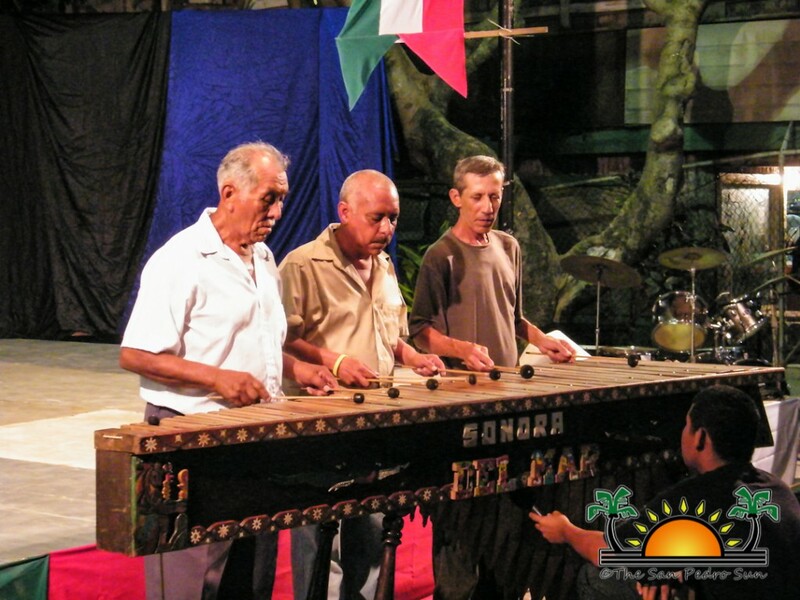 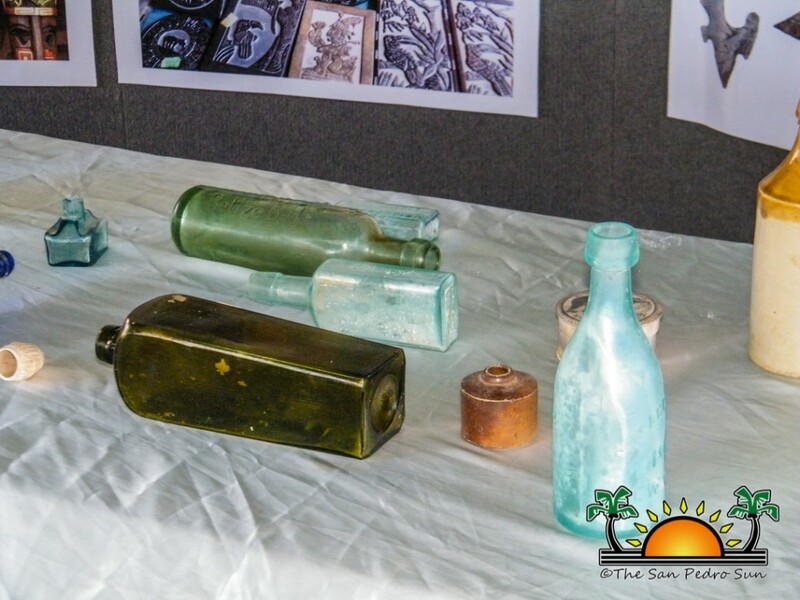 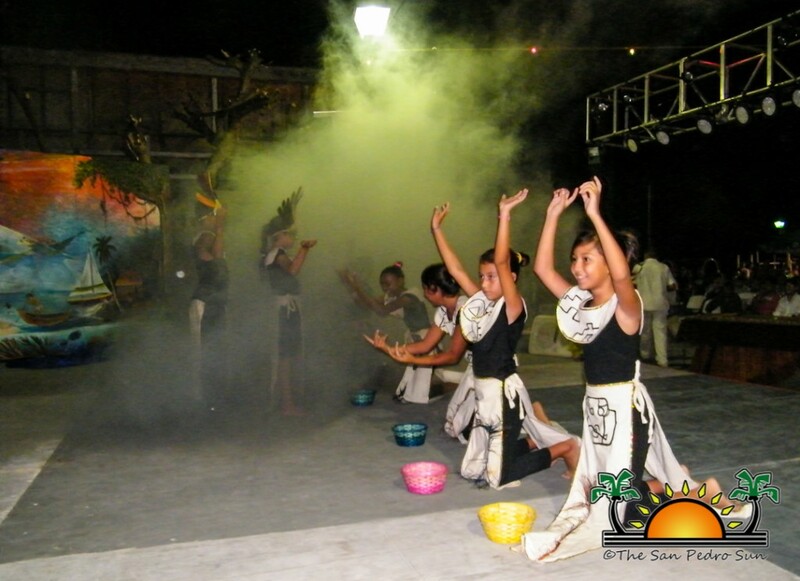 San Pedro Town and by extension the island, has a very rich culture and celebrations such as these allow us as visitors, to get a glimpse of it,” said Haylock. 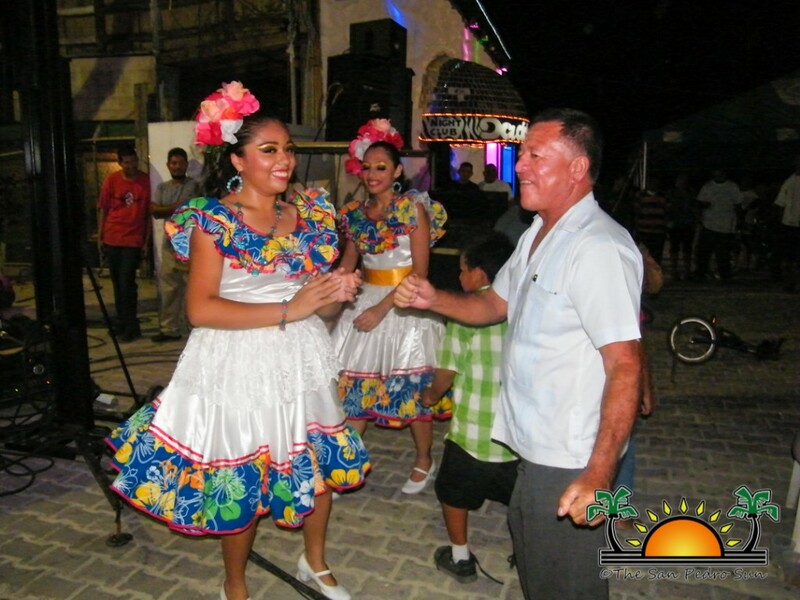 For his part, the Minister of Tourism and Culture Manuel Heredia explained the while San Pedro Town has moved on from the small little fishing community to become the prime tourism destination in the country, many still have memories of the humble beginnings the island. 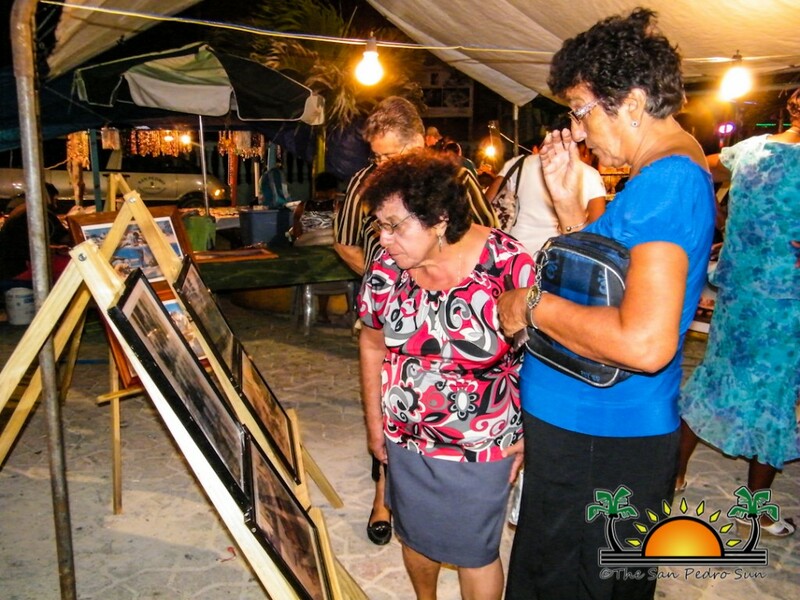 “We have moved forward to become the country’s prime tourism destination. 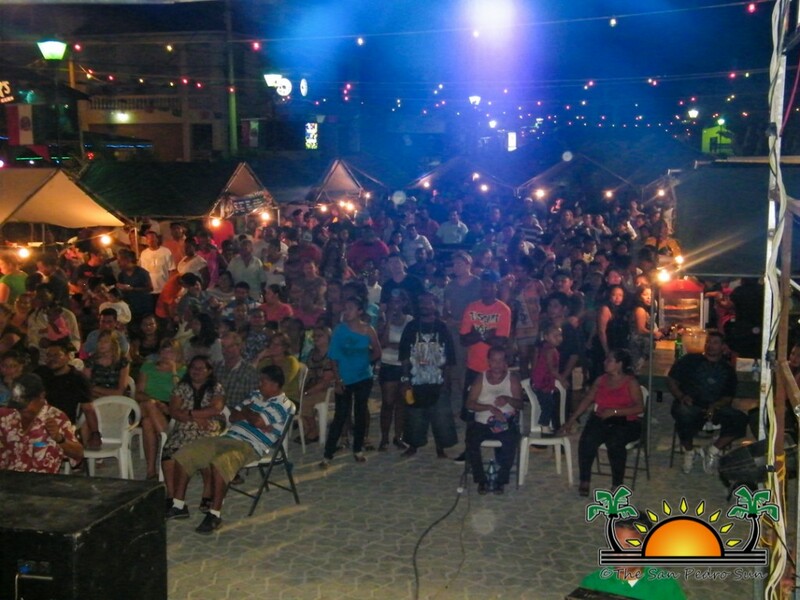 Overall tourism figures show that more than 50% of the tourists that vacation in Belize come to the island. 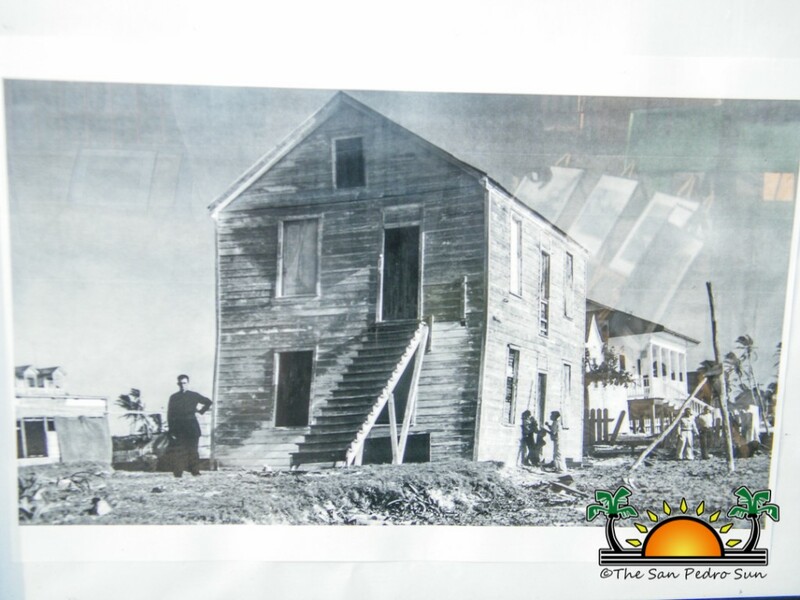 This shows how we have grown throughout the years but even as we develop, we must do so in a sustainable manner. 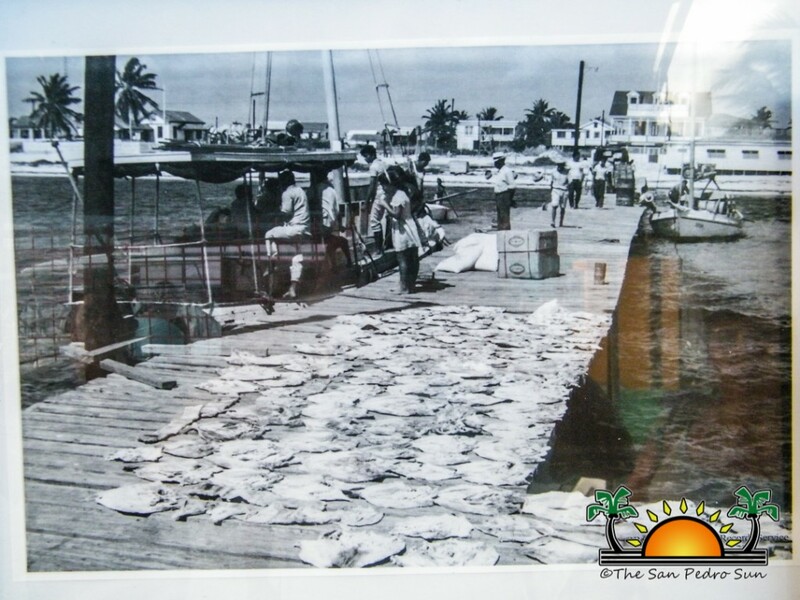 We cannot afford to lose either our traditional practices such as fishing, nor can we stop development. 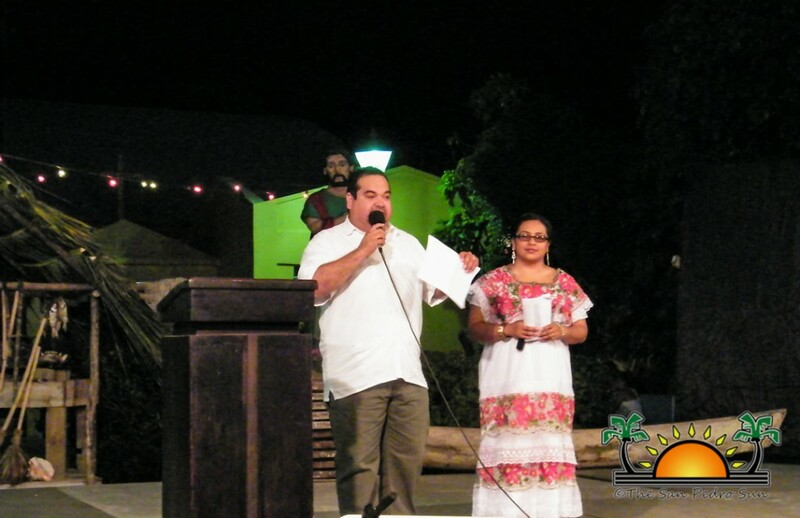 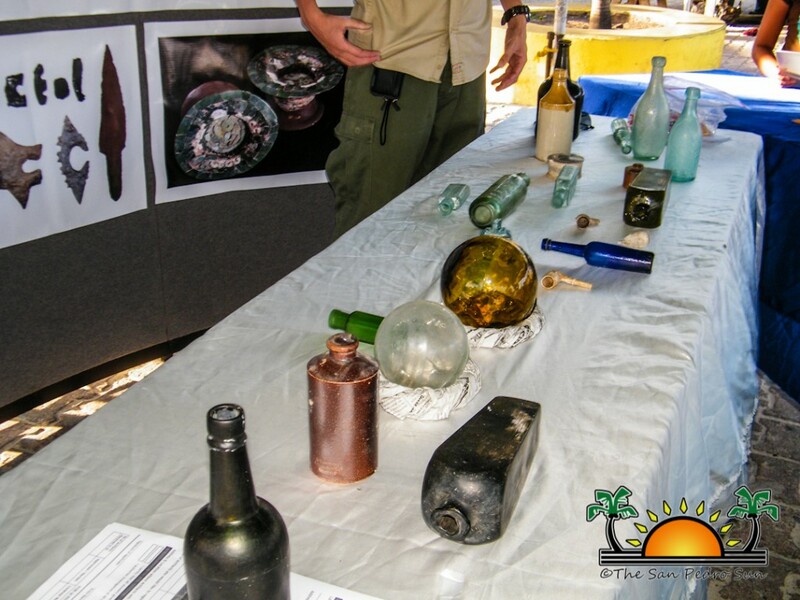 What we should ensure however is that our culture is kept and preserved,” said Heredia in his keynote address. 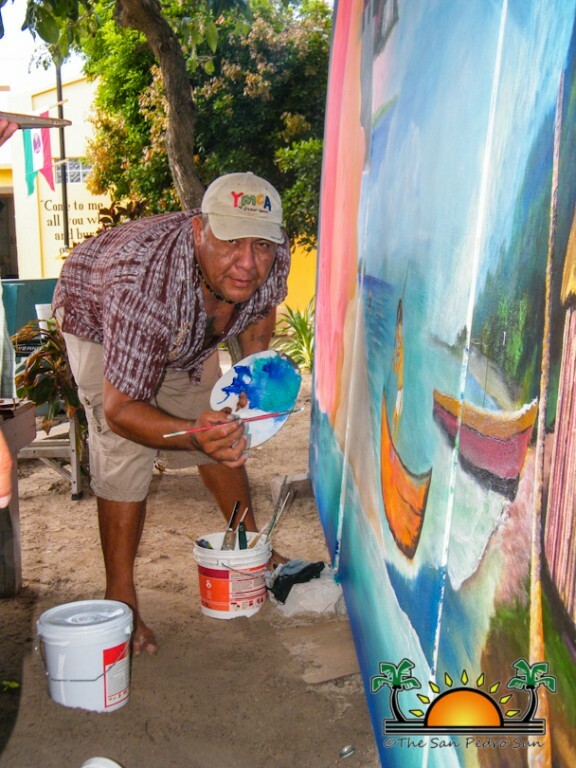 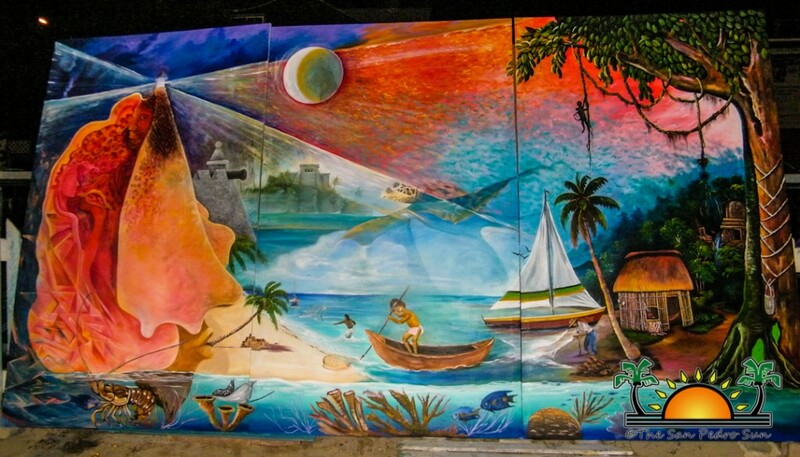 As part of the short ceremony, a mural painted by Mexican and Belizean artists was unveiled. 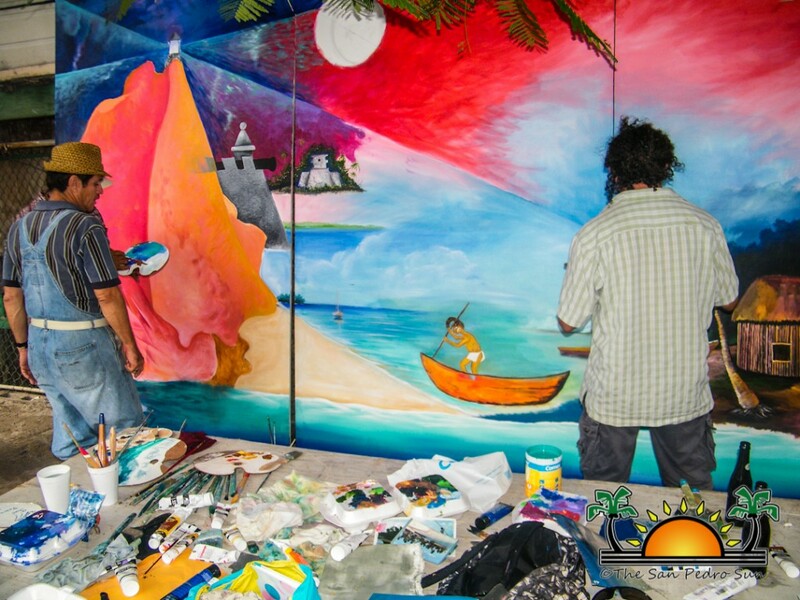 The three-piece mural took three days to be completed, with over 20 artists painting various aspects of the piece. 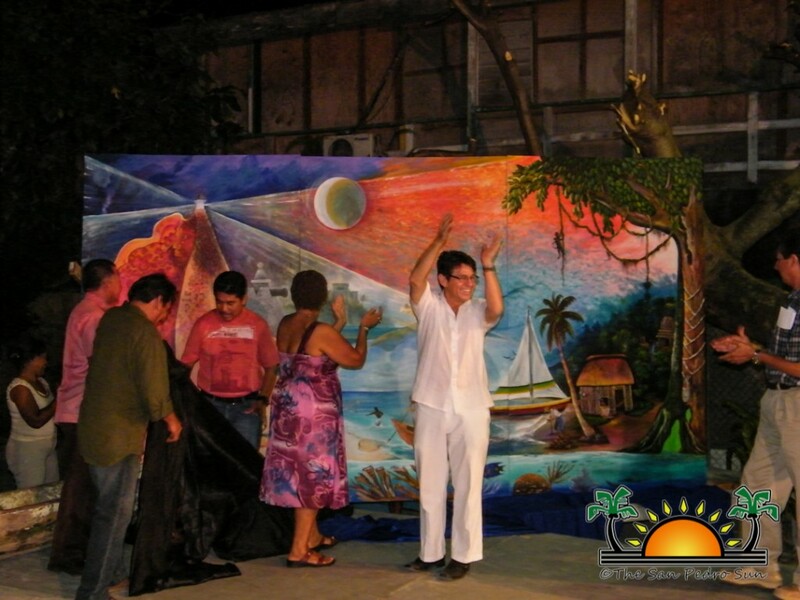 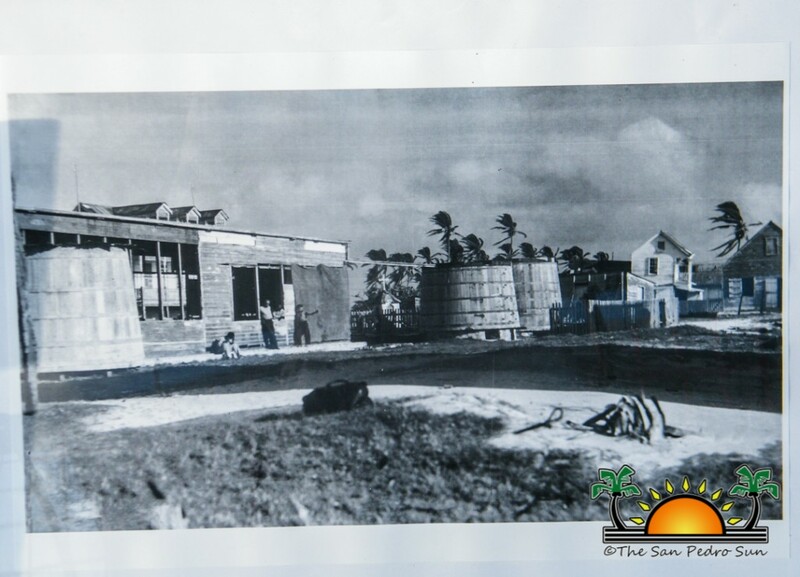 The mural shares the historical account of the island since days of the Maya and then its re-occupation by the Caste War immigrants from the Yucatan Peninsula into Belize. 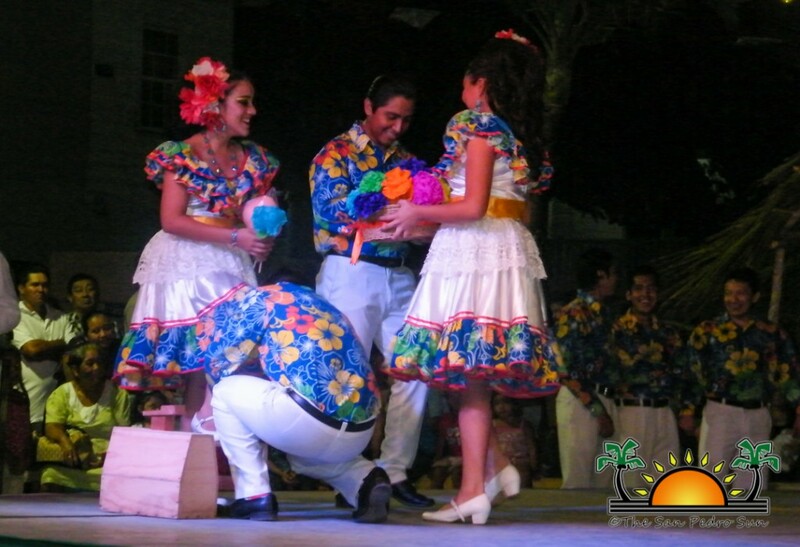 Following the ceremony, dancers in their colorful outfits graced the stage with various presentations. 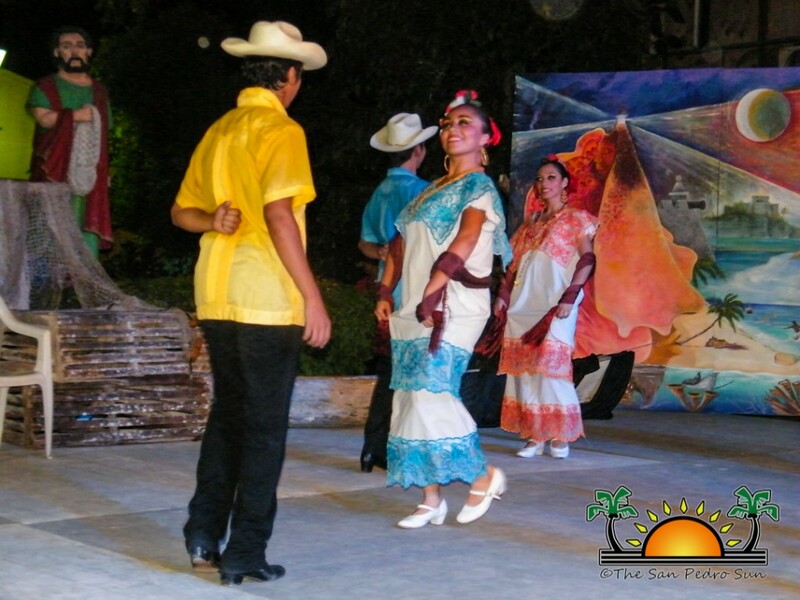 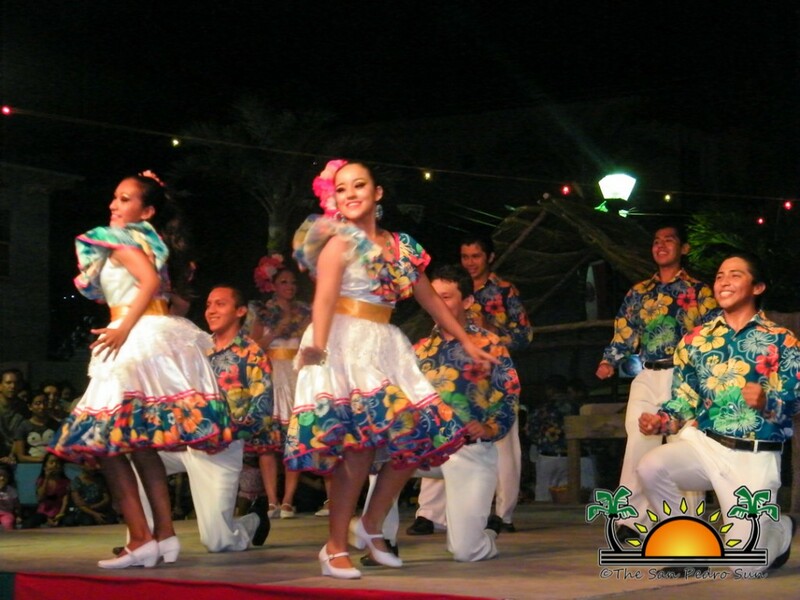 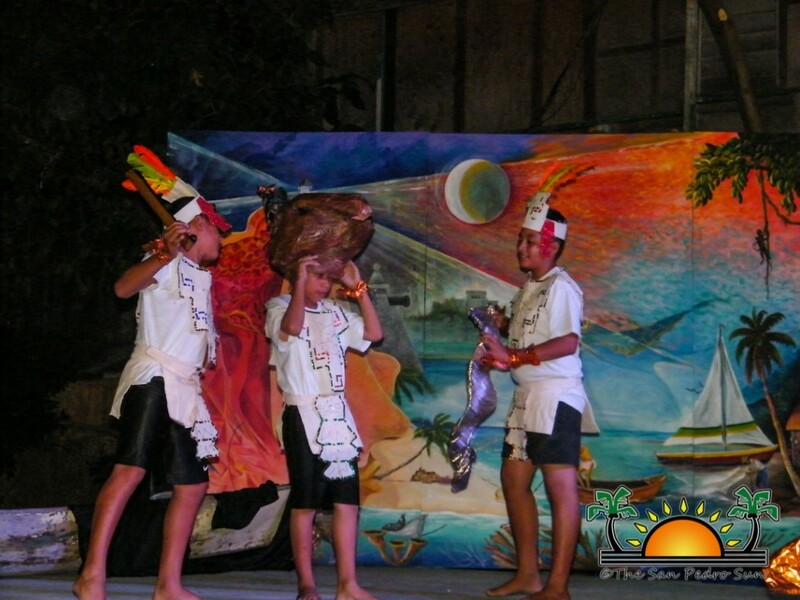 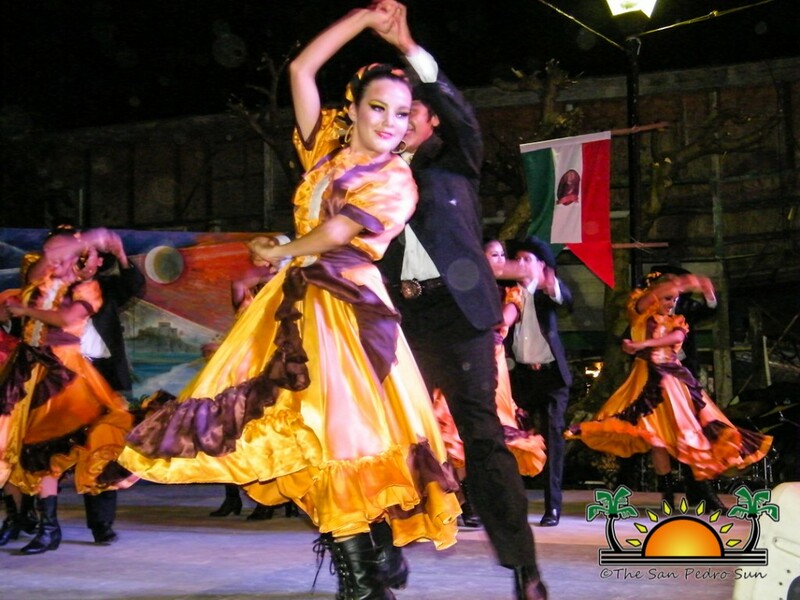 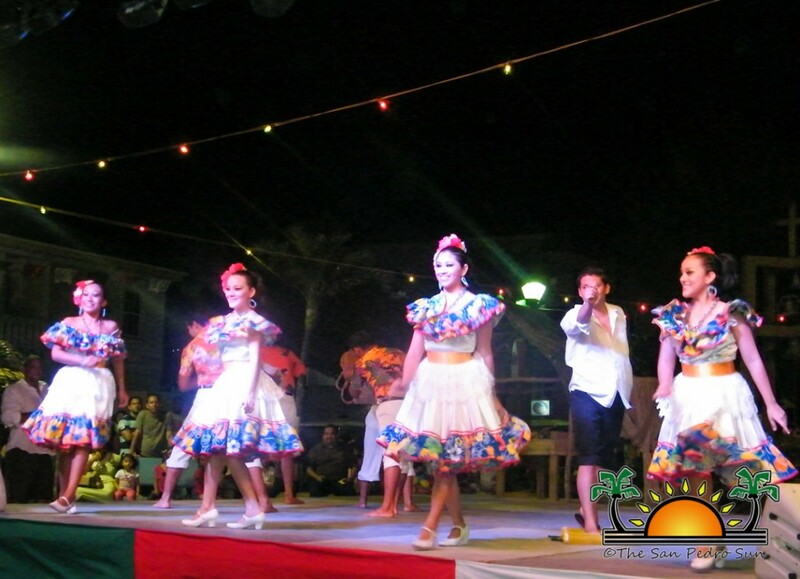 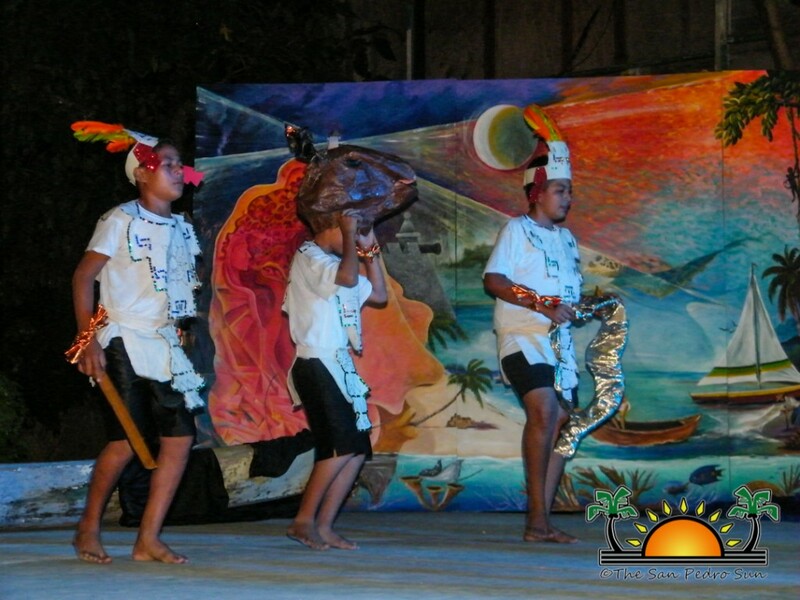 Traditional Mestizo dances from the Ballet Folklorico de Chetumal Quintana Roo captured the attention of the audience. 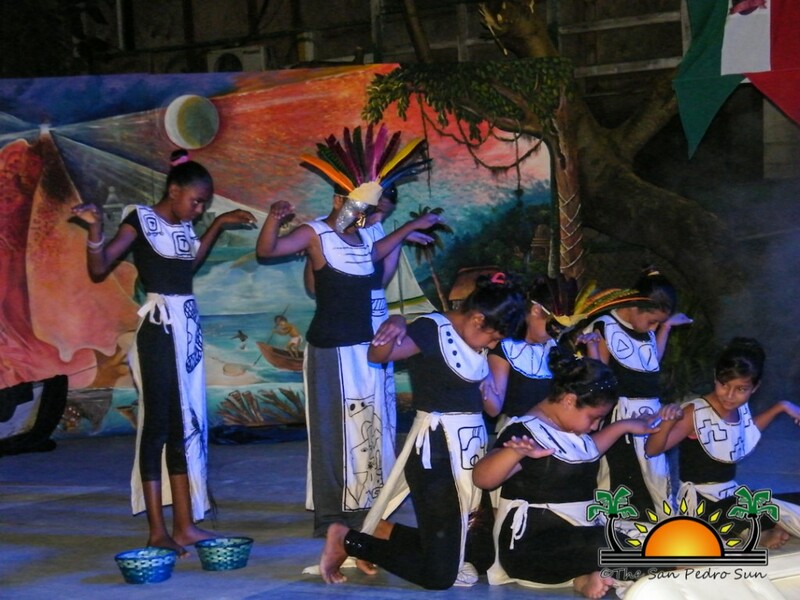 One of the main dances was in tribute to fishermen lost at sea presented by the Sarteneja Dance Group. 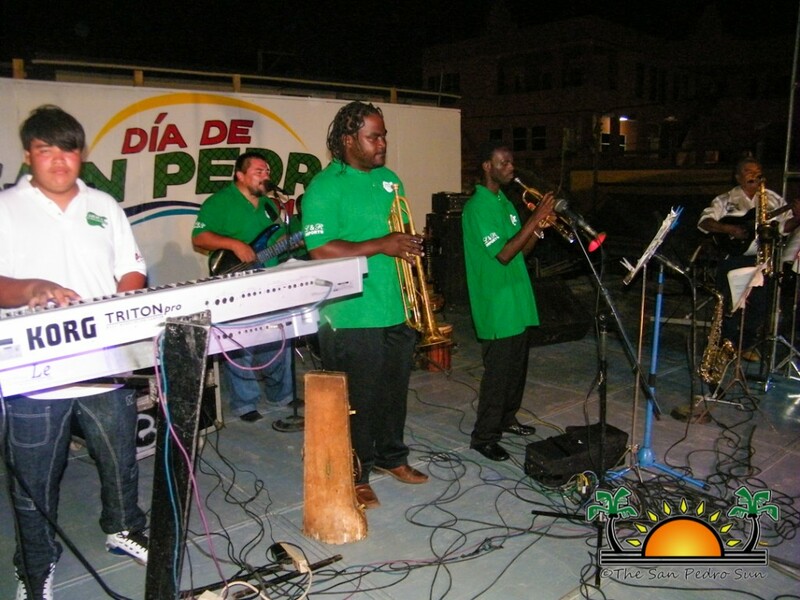 Traditional marimba music kept the crowd entertained until about midnight when the Mariachis graced the stage to serenade Saint Peter. 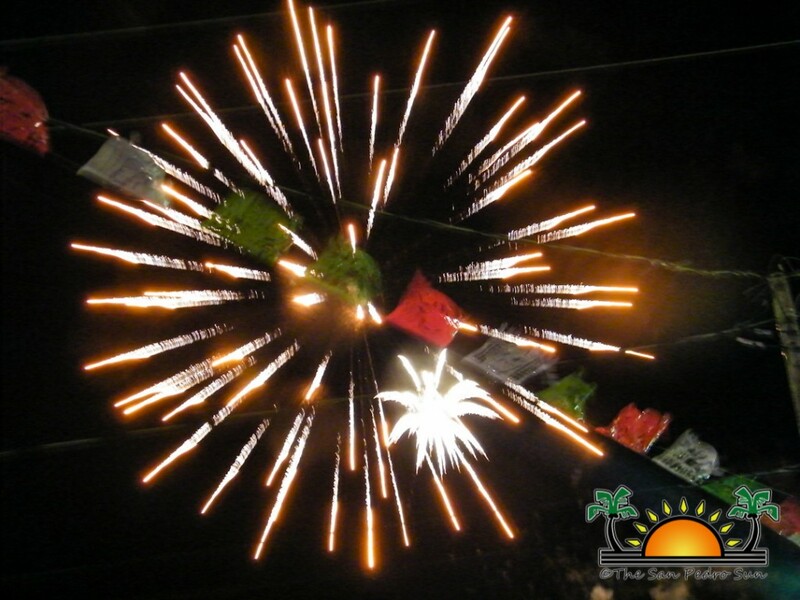 Simultaneously, the skies came alive for about 30 minutes for a spectacular fireworks display. 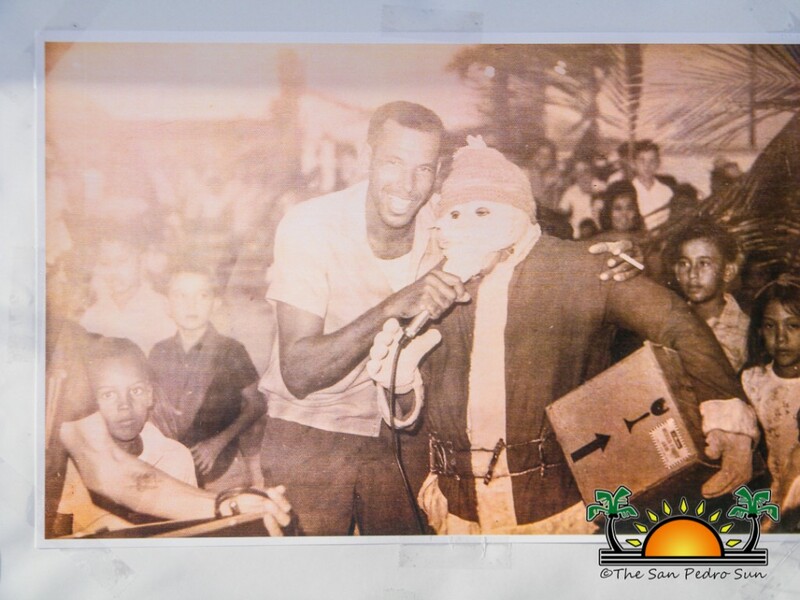 The celebration continued until the break of dawn when the fishermen’s mass started. 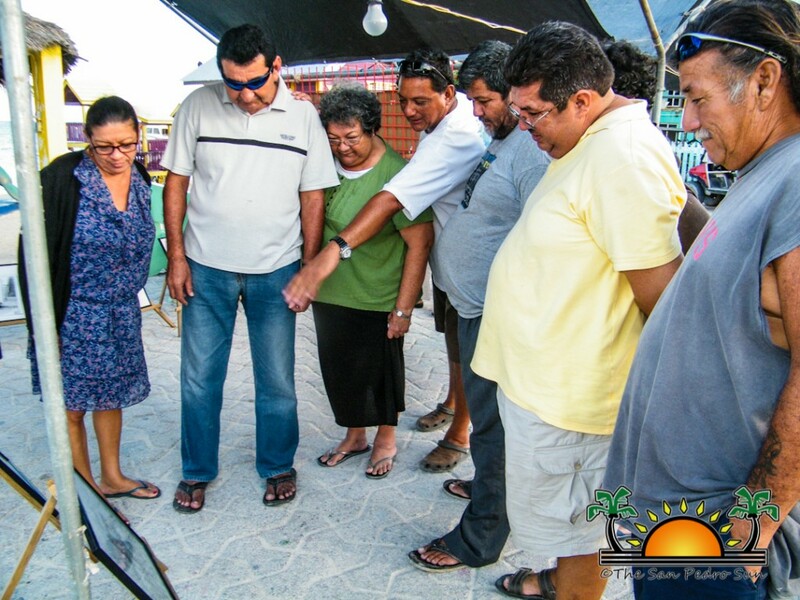 The mass of gratitude for a bountiful year to Saint Peter - the saint of the fishermen, was followed by the traditional breakfast at the Lions Den. 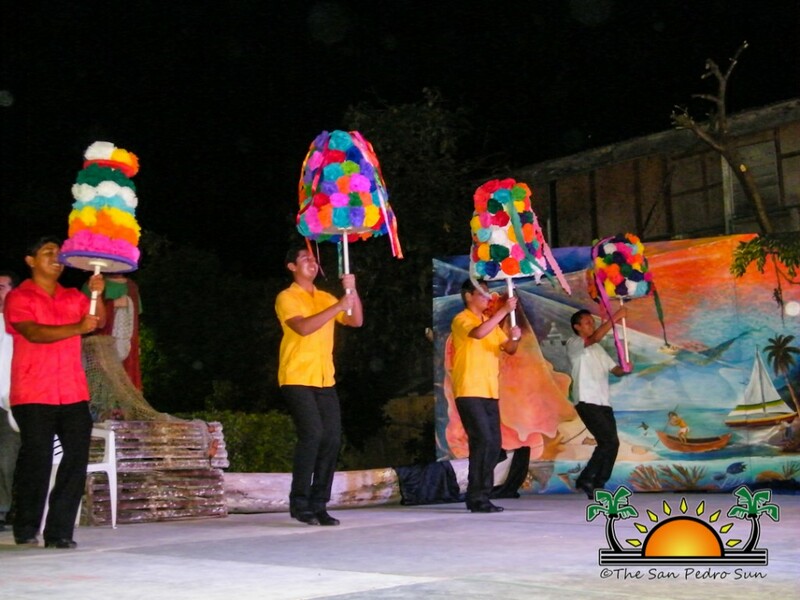 By 6AM on Saturday, after an all-night celebration, fishermen and boat captains flocked to the beach to participate in the traditional boat procession. 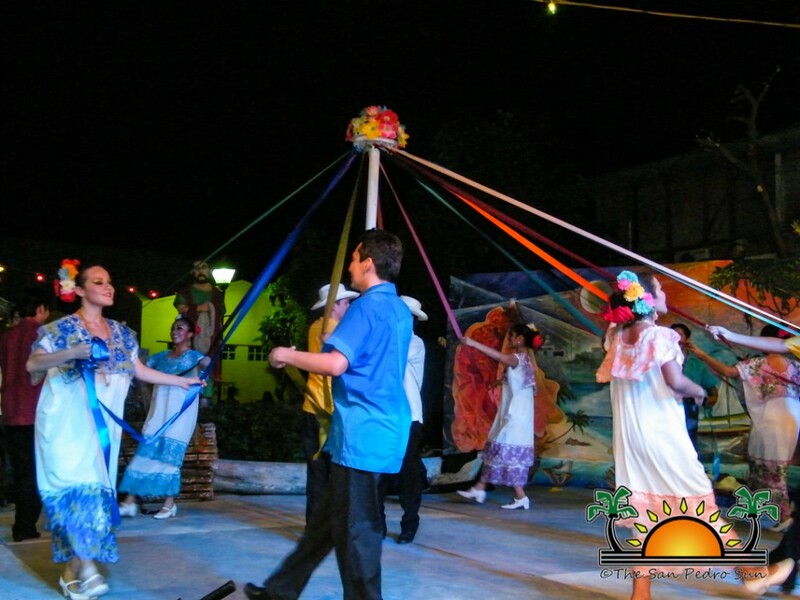 Leading the procession was the vessel with Saint Peter mounted on the bow of the boat. 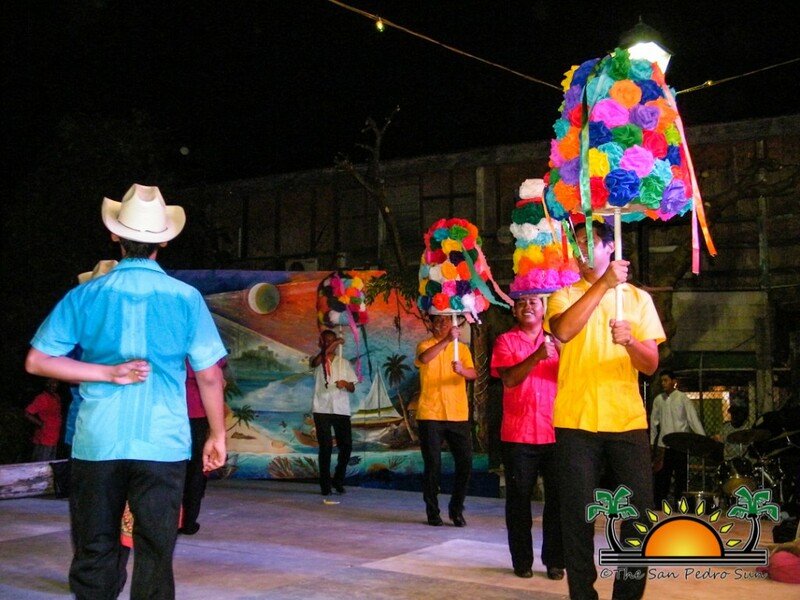 At the end of the procession near the El Embarcadero, all the vessels were blessed as a symbol of protection to the mariners while at sea. 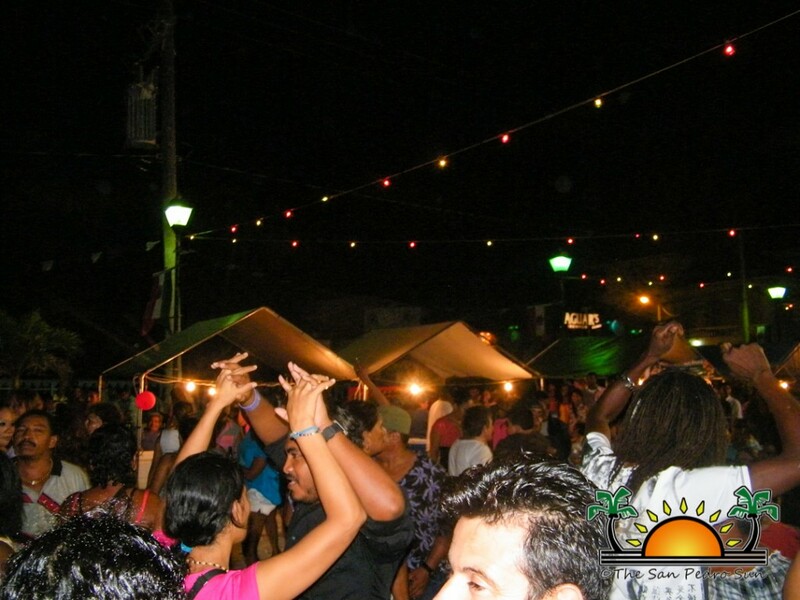 The festive celebration continued on Saturday with a block party at the Central Park. 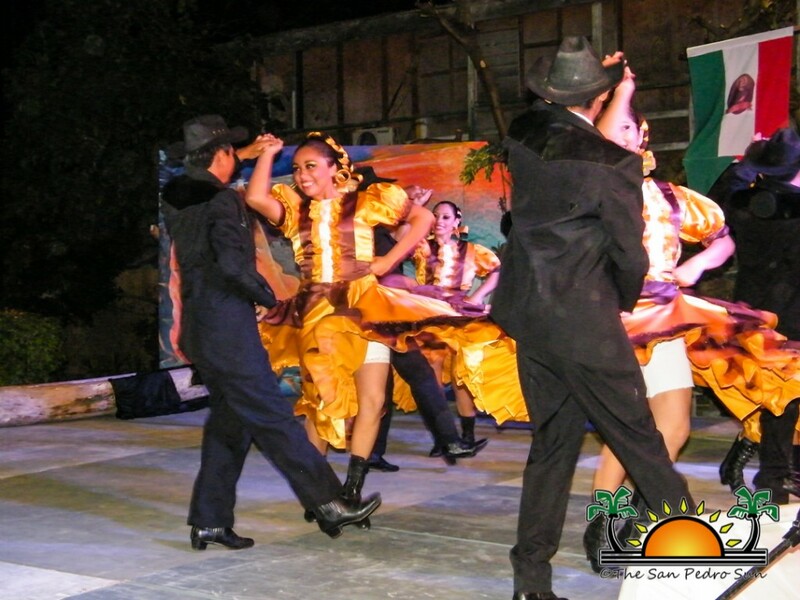 It included traditional Mestizo dances and an all-night dance with Orange Walk’s very own, Luico and the New Generation. 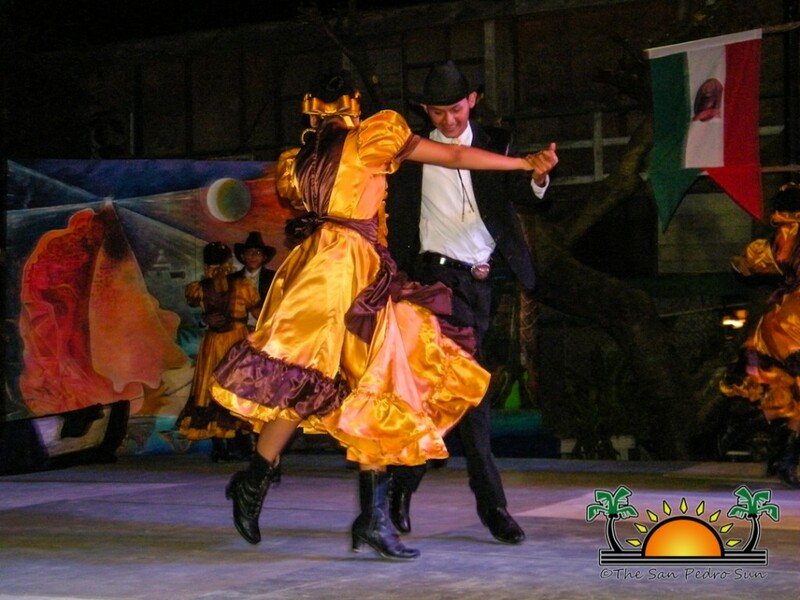 Old time calypso, soca, punta and cumbia music had the dancers wearing out their dancing-shoes until the wee hours of Sunday morning. 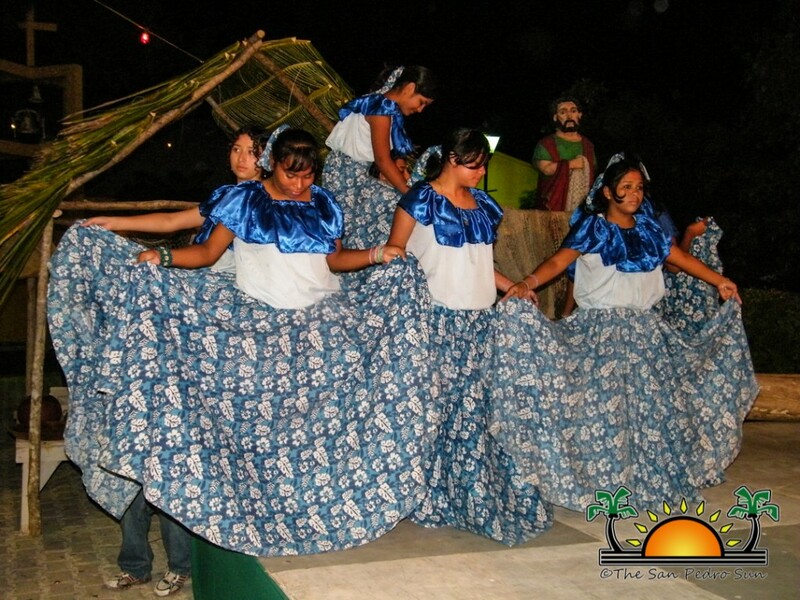 The celebration ended with a family day at the central park with traditional beach games. 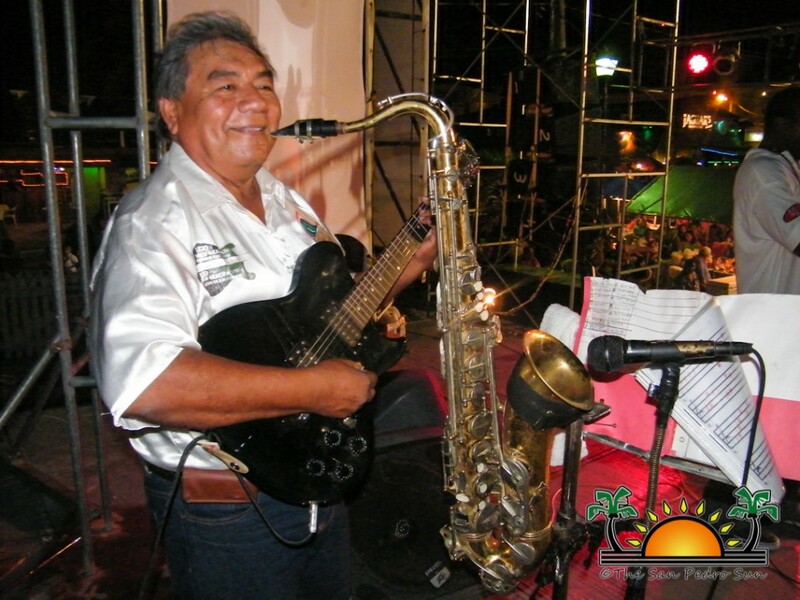 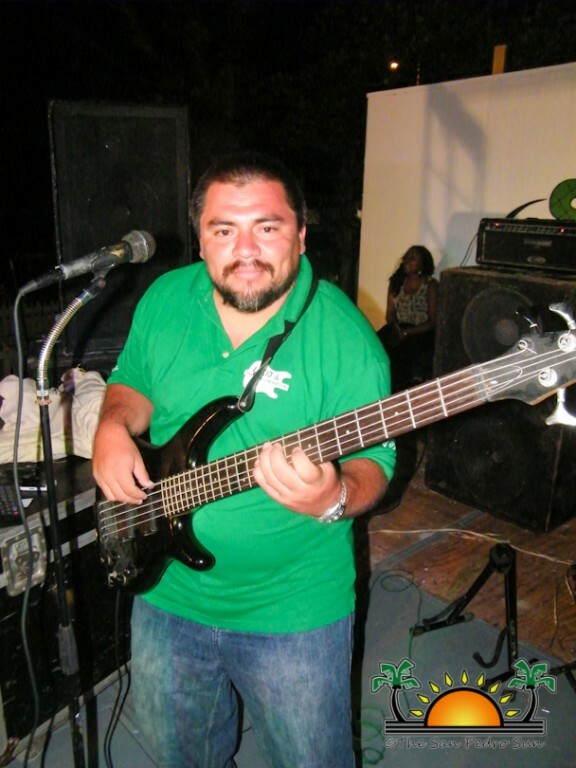 DJ Habo kept the families entertained until mid afternoon, when a much needed siesta was taken from all the celebrating. 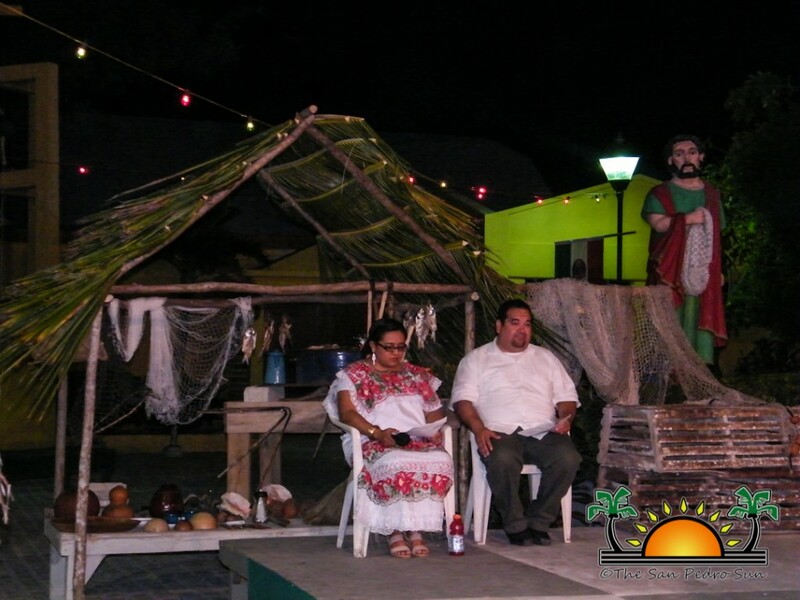 The celebrations saw a slight twist from previous years in which mechanical games was one of the main attractions to the festival grounds. 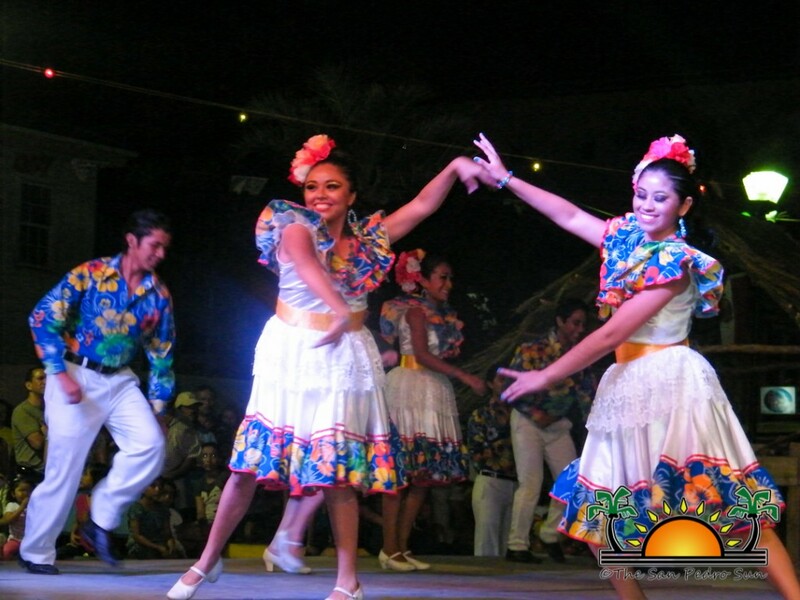 This year, the organizers made a shift of venue and returned, after many years, back to the central park and concentrated efforts in the cultural, historical and traditional aspect of the celebrations. 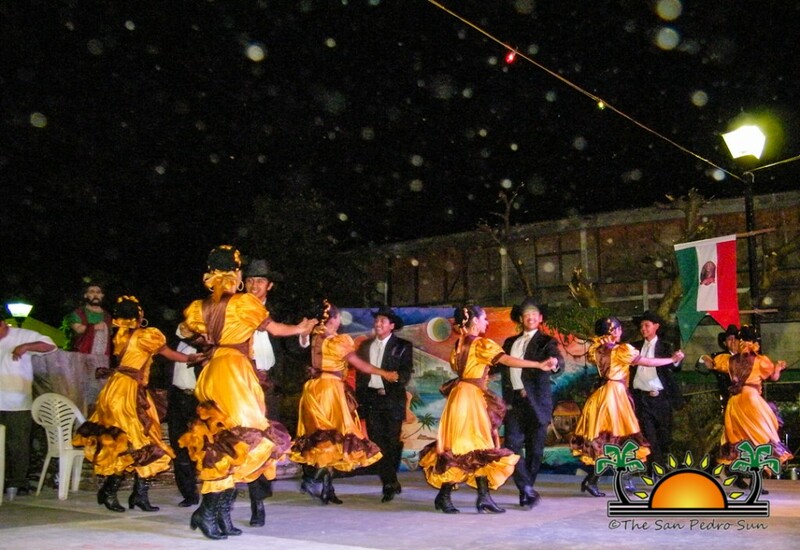 The San Pedro Sun congratulates the organizers on a job well done.